(Steve Griffin | The Salt Lake Tribune) Utah County Attorney Jeffrey Buhman addresses the media as he explains the Utah County Attorney's Office's ruling in the officer-involved shooting of Darrien Hunt during a news conference at the Utah County Attorney's Office Provo, Monday, Nov. 3, 2014. Provo • The Utah County Commission could vote as soon as next week on whether to establish a panel to review allegations of unethical behavior by prosecutors. The commission last August adopted a resolution to establish a prosecutorial review board — the first of its kind in Utah, and possibly the nation. But during Tuesday’s meeting, support for the creation of such a board did not appear unanimous among the three commissioners. “We’re going to create a solution to a problem we don’t have,” Graves said. The proposed prosecutorial review board would be a seven-member body tasked with reviewing allegations of wrongful prosecution, civil right violations and prosecutorial misconduct within Utah County. The group would “identify any truthfulness” to the allegations and make a finding on whether there was misconduct. The board would not have the power to sanction prosecutors or award financial damages. A group of Utah County residents last May asked commissioners to create a body outside the county attorney’s office to provide oversight to prosecutors. They pointed to a handful of high-profile criminal prosecutors that ended in acquittals or dismissed charges in recent years, saying the prosecutions purportedly damaged the lives of people who say they were falsely accused of crimes. Several in that group spoke again Tuesday in support of creating a review board. Commissioners, however, opted to delay voting on its creation until next week so county attorney Jeff Buhman could weigh in at the commission meeting. There are no prosecutorial review committees currently in Utah. Nationwide, a number of district attorneys’ offices have adopted Conviction Integrity Units — internal review boards that look over past cases to identify unjust convictions. Utah County’s proposed board is different because it will function outside the county attorney’s office and can consider cases that did not result in a conviction. Commissioner Lee said in August that he was not aware of any other committee in the nation created by an outside governing agency that reviews prosecutor actions. National organizations, such as the Center for Prosecutor Integrity and the Innocence Project, have voiced their support for the creation of a review committee in letters sent to Utah County commissioners. The concept also has the support of local groups like the Libertas Institute, a libertarian-leaning Utah think tank. President Connor Boyack told commissioners Tuesday that few people are more powerful in the criminal justice system than the prosecutor — yet the public rarely knows who their elected county attorney actually is. A handful of Utah County prosecutors spoke against the proposed review board Tuesday, telling commissioners that there is already enough oversight in place. 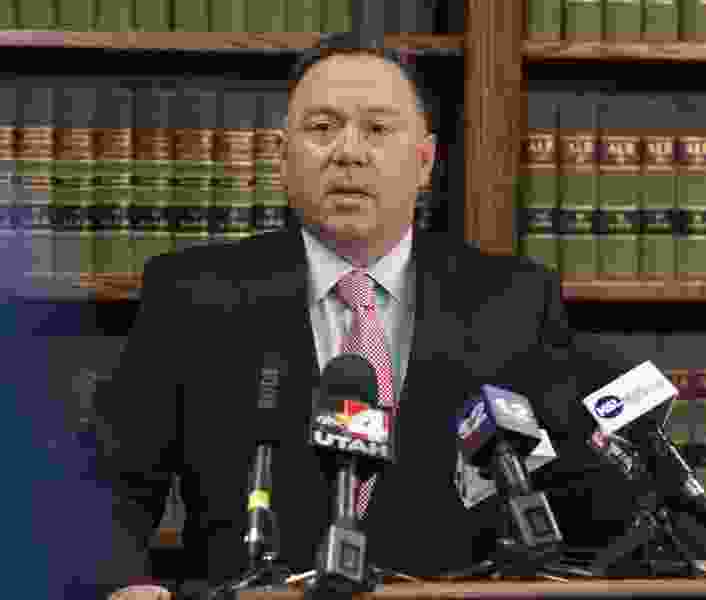 Deputy Utah County Attorney Sam Pead said he answers to his boss, the Utah State Bar and judges who could levy sanctions if he were to do something wrong. Ryan McBride, another deputy Utah County attorney, said he felt a prosecutor review board would indicate that commissioners have no confidence or trust in the county attorney’s office. He noted that he has passed up higher-paying jobs to continue his work as a prosecutor on difficult cases that often take a toll on him emotionally. There are two pending lawsuits alleging malicious prosecution in Utah County, and both were cited by citizens to show the need for a review board. Former Provo City Councilman Steve Turley — whom Utah County prosecutors charged with nearly a dozen fraud felonies in 2011, which a judge ultimately dismissed for lack of probable cause — filed suit in 2017. He has told commissioners that the charges damaged his reputation and business opportunities. Conrad Truman, who was acquitted of killing his wife in a second murder trial, filed his lawsuit last July. He alleges Utah County prosecutors and Orem police used “misleading, false and outright fabricated” evidence to charge him with murder and keep him behind bars for nearly four years.